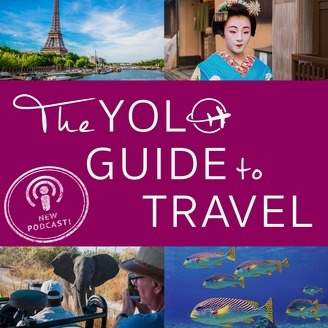 Travel expert and author, Taj Bates, shares tips, stories and advice from her travels - past and present - in an effort to make travel planning and exploring a more zen n' enjoyable experience for you as you journey to the world’s most YOLO-worthy destinations. WHO'S TAJ? Taj is an adventurous traveler and author of a groundbreaking series of travel guides to California. Through the years, she has journeyed to dozens of countries and locales across 6 continents. She has climbed the Great Wall and the Great Pyramid; ungracefully wobbled on glaciers in New Zealand and Alaska; and sailed along the Nile, the Everglades and the Amazon. She first fell in love with mussels in Brussels; scuba diving in the Red Sea; Vivaldi’s 'Four Seasons' during a magical concert in a Venetian church; and the indomitable spirit of Aloha! on the Hawaiian islands. When she is not busy island- or continent-hopping, she can be found road trippin’ through California, where the ocean is her muse. WHAT'S THE YOLO GUIDE? We are a digital travel consultancy and indie publishing house on a mission to make travel planning quicker, easier and a more zen and enjoyable experience for worldly travellers. 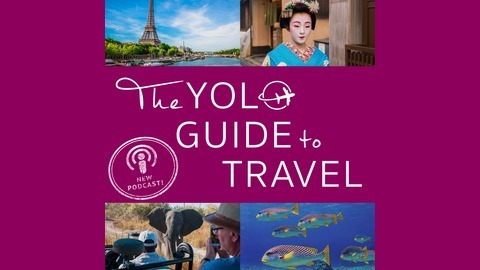 We hope our Travel IQ app on iOS and Android, customizable YOLO Journeys, travel guides and podcast will equip and inspire you to have fabulous and unforgettable adventures in the world’s most YOLO-worthy (You Only Live Once) destinations! Check us out on TheYOLOGuide.com! Travel expert and author, Taj Bates, shares insider tips, fascinating insights and jaw-dropping surprises from the fun, food and frustrations she encountered during a recent trip to the Land of the Rising Sun.